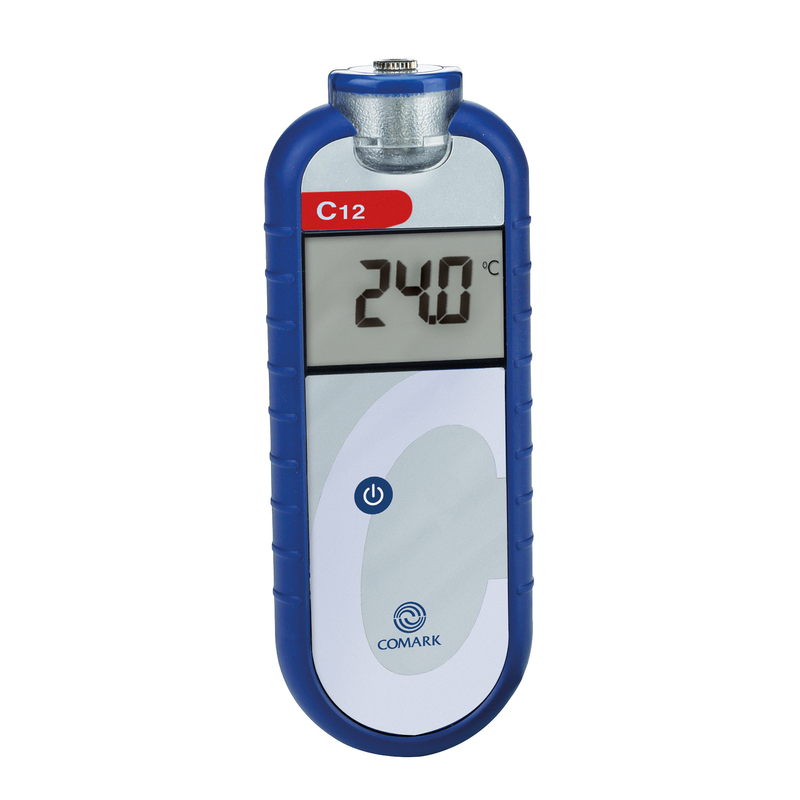 The C12 comes supplied with labels to enable you to select one of five HACCP colour options, ideal for catering, food service and other food uses where colour-coding could reduce the risks from cross-contamination. 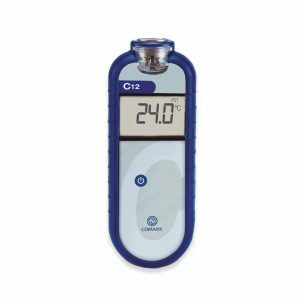 The C12 range of colours can be included in your HACCP procedures – just choose from the colours supplied with your thermometer. 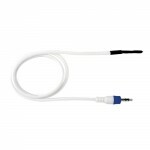 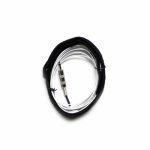 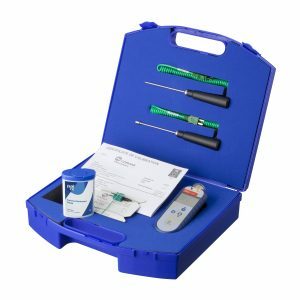 A (PX11B) Penetration Probe and an (AX11B) Air Probe are supplied with the C12 thermometer as standard, ready for use straight away. 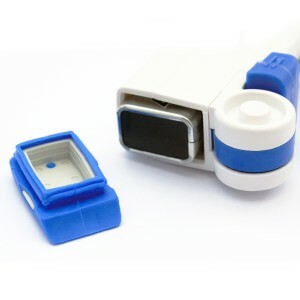 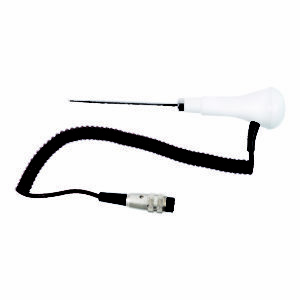 A Special Pipe Probe with Velcro Strap is also included. 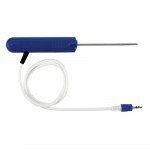 Dimensions (Excluding Probe) Length 152mm / 6", Width 58mm / 2.3", Depth 22/27mm / 1.1"
How Do I Re-Calibrate My Thermometer? The calibration of the C12 HACCP Food Thermometer calibration is set during the manufacture of the product for its lifetime. 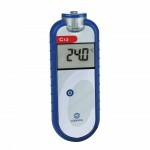 It should not need to be changed or re-calibrated at any stage. 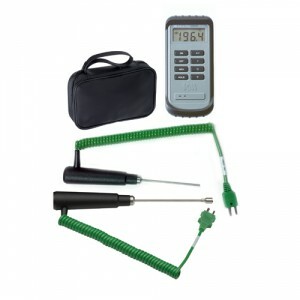 If you are experiencing issues with temperature readings, it may be that your probe has, or is developing a fault, in which case we would always advocate trying a different probe if you have one, or ordering a replacement to try. 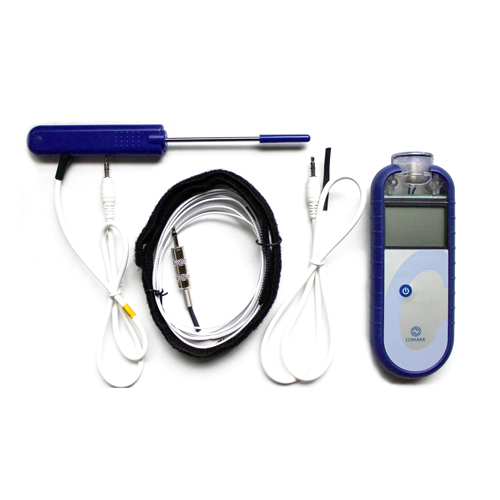 Is my Thermometer/Probe NTC Type? 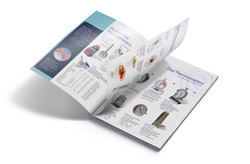 The C12 HACCP Food Thermometer does use Probes with Negative Temperature Coefficient (NTC) Thermistors, however there are many different types of NTC Thermistors available, with different specifications, which may not give accurate results if used with the C12. We would recommend only using Probes we supply with and for the C12 HACCP Food Thermometer to be sure that the stated instrument accuracy is obtained.